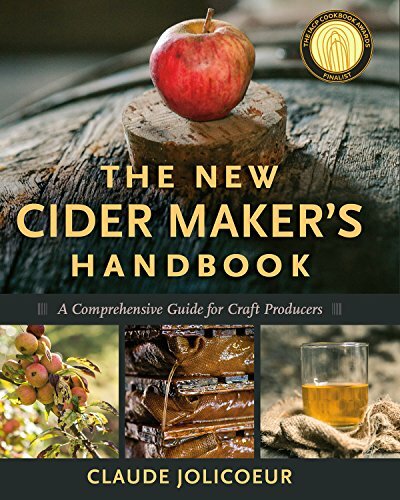 September 13, 2018 0 comments on "How to Make Cider with a Cider Press"
I have been wanting to learn how to make cider for a long time. I still have fond memories of making apple cider with my grandparents on their farm when I was a kid. Every year they would pick up all the apples that had fallen on the ground at their small apple orchard and then make homemade cider. When we would go to visit they would let us help make the cider. I decided that I wanted to learn how to make cider for myself so that my family could pass on that tradition to the next generation. Making apple cider is easy if you have the right equipment. People make apple cider in a variety of ways. Some people make their own apple cider press, but I didn’t want to go to all that effort. You can buy fairly inexpensive cider presses on Amazon. It takes a lot of apples to make cider. One fruit (orchard) box full of apples will make a little more than one gallon of apple cider. Apple cider is often made from the apples that have fallen on the ground and gotten bruised, the apples you would normally throw away. Making cider from these apples is a great way to keep them from going to waste. If you don’t have an apple tree in your backyard, see if one of your neighbors has an apple tree, or look around town to see if there are any apple trees on public property. Where we live there are apple trees all over the place with apples just laying on the ground going to waste. 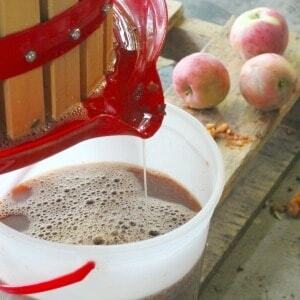 The first time you make homemade apple cider with your new cider press it will definitely be a learning experience. I think it took the longest to figure out which cider press to buy! This is the cider press that we purchased. Besides using it for cider making, you can also use it for making other types of homemade juices and also for wine making. We are also using the apple cider we made to make homemade hard apple cider. There are cheaper, smaller presses than the press we chose, but we decided that we would like to have a slightly larger one to make more cider at one time. This press holds enough apples to make 3 gallons of apple cider at one time. 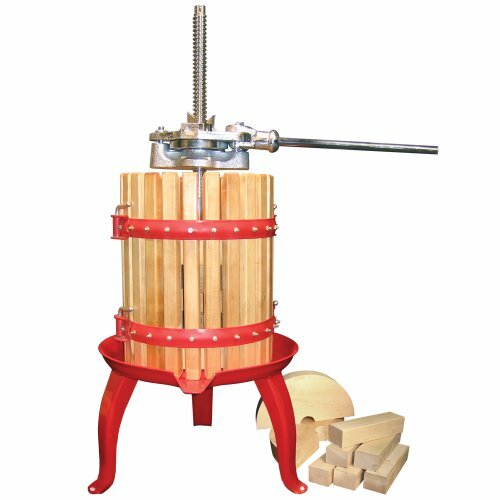 Here is a list of all the different cider presses that Amazon offers for sale. 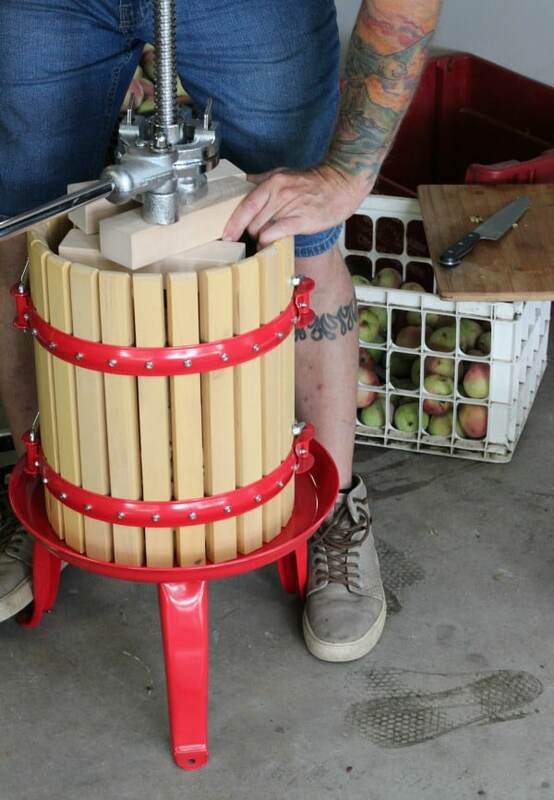 Before you get started making cider, you need to get your new cider press set up. The cider press we purchased has metal legs that you can attach to something else to keep it from moving around on you. We found that we did need to bolt it down. We screwed the metal legs of the press to an old wooden pallet, and that worked great. You will also need a large bucket such as a 5 gallon plastic container to crush your apples in. You could also use a small, clean garbage can. To crush the apples you will need some sort of a pounding stick. My husband used a several foot piece of fence post that he cut off and attached a handle to at one end. You need something like this to pound the apples as much as possible before putting them through the press so that you can get out as much juice as possible. I have read lots of different ideas about choosing apples for making your own cider. Some people say not to use just one variety of apple for your homemade cider. They say that you should use at least two different types of apples, one variety that is sweet, and one variety that is sour. The resulting combination is supposed to make the best cider. If you don’t have access to a lot of different varieties of apples, don’t worry, your apple cider will probably turn out just fine. I made my cider from some apples that were a little on the sour side and the cider turned out perfect without adding any sugar to it. You might find that if you use a really sweet apple, your cider might end up being really sweet even if you don’t add sugar to it. If your cider does turn out too sweet, it’s fine to add some water to it to thin it out a bit, and that should help make the cider less sweet. The first time we made cider we definitely didn’t know what we were doing, and made a few mistakes. But hopefully sharing these tips will help make your experience with cider making fun and enjoyable. When you are ready to get started, you need to cut up your apples. There are a couple of different ways you can do this. We started out by cutting them all up into chunks with a paring knife, removing any of the bruised spots. It turned out cutting them up this way was extremely time consuming because we had lots and lots of apples to cut up. My husband took the blade from a (clean) paint scraper and attached it to the end of a wooden pole. A broom handle works well. We placed a bunch of apples in a 5 gallon container and then used the stick with the blade on the end of it to chop up all the apples. If your apples are bruised and not really rotten, you don’t need to worry about cutting those parts out. You will be straining out all the apple pulp later. If you have any really bad apples just throw them away. After all of the apples are chopped up into several pieces, use a broader stick to crush the apples so that the juice starts coming out of them. My husband made a pounding stick with a couple of feet of fence post. If you put the cut apples in the cider press without crushing them first, not very much juice will come out of the apples when you press them. After you get the apples all cut up and crushed, you are ready to run them through the cider press. We fill our press about half way with the crushed apples, and then put the wooden blocks that came with the press on top of the apples. You then turn the handle on top of the press until it lowers down onto the wooden blocks. As the wooden blocks start pressing down on the apples, the juice will start flowing out of the apples. Make sure you have something under the cider press to catch the apple juice. After all of the juice has been extracted, remove the apple pulp from the cider press and discard it. We feed ours to our chickens. They eat it like candy. After we scrape all the pulp out of the press, we rinse the press out with a garden hose. You will find that the juice that was extracted might have some small lumps of apples floating in it. 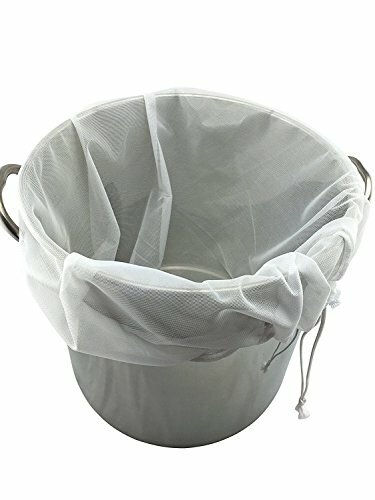 You will want to pour it through a straining bag like this one. The straining bag will remove any small bits of apple and some of the apple pulp. I use my apple pulp to make apple butter. No need to throw it away! After you strain the apple juice it is ready to store. We wash out gallon milk containers and fill them about 3/4 of the way with the cider and then place them in our freezer. If you don’t have any empty milk containers, WinCo and Walmart have very inexpensive empty gallon plastic containers where they sell their filtered water. They are cheapest at WinCo, ours had them for about $.50 each. And that, my friends, is cider making in a nutshell. As I said, there are many ways people make apple cider at home, and this is just one way. 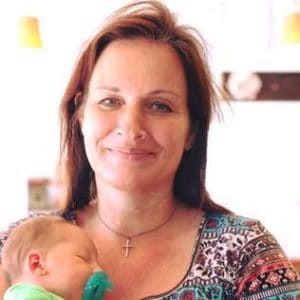 It is a fun fall activity for the entire family, and I can’t wait to make cider with my kids and grandkids in the years to come. Looking for more apple recipes? Try my recipes for apple pie jam and homemade applesauce. Follow my homesteading for beginners and canning and preserving boards on Pinterest.